An update six years in the making. Six years ago I wrote a blog post titled, “How to Build a Six-Figure Blog Without Anyone Knowing”. For a very short period of time, it was the 14th most popular page on the entire internet. To be honest, Alexa was very skewed in favor of marketing and tech blogs at the time so I was probably nowhere near that popular. Just don’t tell my Ego. In that blog post I introduced the phrase “Email Blogging”. This wasn’t an attempt to coin a new term, but instead an attempt to make people feel differently about a term they already knew: Email marketing. More specifically, I wanted people to think differently about newsletters. Back then, newsletters were primarily thought of as an ‘add-on’ to your existing site, rather than its main focus. I called these new sites one-page blogs rather than newsletters, in the hope they’d be taken a bit more seriously. I also argued that in the future, there would be more one page “blogs” making a lot of money. Admittedly that wasn’t a very impressive prediction since there would be a lot more of any kind of website in the future. That said, at least for profitable newsletters, the data supports my theory six years later. Unimpressive predictions aside, one thing is clear: Running a newsletter as a primary business focus has become a profitable strategy for a lot of people. The original headline is a little sentimental to me, so that’s why I’ve copied it here. These days I would replace ‘six figure’ with ‘highly profitable’, as there are different levels of opportunities. I originally wrote “Without anyone knowing” because most newsletter owners keep their ‘funnels’ private, so it’s not easy for anyone to figure out how you segment subscribers, your most lucrative revenue streams or approximate reach. With a more public medium like a blog, data is approximated by many tools – and highly accurately – and your product or service offerings are wide open. I hope that with the following research, you’ll not only be inspired by the potential of this business model, but see an opportunity for something you can build in your preferred industry. Today his newsletter makes more than $320,000 per month. When I mentioned this on a recent Detailed.com article, someone reached out to make sure I really meant to say three hundred thousand dollars per month. Scott started a website called How to Fly for Free which was built around eBook’s he was trying to sell on how to get great flight deals. He also set-up a newsletter as a separate page on the site at /email-list/. It turns out that far more people were interested in this list than he expected, with Business Insider coverage helping to grow it significantly faster. I’ve been obsessive for years with finding as cheap airfare as possible. In 2013, for example, I found an amazing deal to fly nonstop from NYC to Milan for $130 round trip! When I got back, all my friends wanted me to alert them next time a deal like that popped up. So rather than trying to remember everyone I was supposed to send the bat-signal to, I created a free Mailchimp account and let friends sign up to get alerted. Fast forward a year and a half to April 2015. Just as I was about to embark on a 13-country trip around the world, Business Insider got wind of it and wrote an article that ended up viral and gave me my 15-minutes of fame. Pretty soon my 300-person list ballooned to 3,000 and all of a sudden I was hit with hosting fees if I wanted to keep using Mailchimp. Since then, Scott’s newsletter has been featured on the New York Times, CNBC and enjoyed multiple spells on the Reddit homepage. While How to Fly for Free still exists, the newsletter portion was rebranded to Scott’s Cheap Flights, which today boasts over 531,000 subscribers. Reaching up to 600,000 visitors per month, it seems like there’s no slowing down Scott’s rapidly growing success (or revenue numbers). I recently discovered a graphic design firm named FairPixels who built a side-project that currently reaches up to 100,000 visitors per month. They created a newsletter under a new brand name and used it to offer ‘open-source logos’ to subscribers. This new brand, Logodust, has reached hundreds of thousands of people in the past six months. It’s also been shared on Facebook more than 1,300 times. While Logodust is free and open-source, it does funnel traffic back to their main website, Fairpixels. Here they offer logo design services for $89 if you’re willing to wait three weeks for your design, or $220 for a three-day turnaround. Both Logodust.com and Fairpixels.co were set-up at the end of 2015, making it seem that Logodust was a planned marketing tactic from the outset. Fairpixels could have easily added a newsletter to their main website, rather than put it on a separate domain, but I’m sure they don’t regret that decision now. They started by creating card-based stories which took up one or two ‘screens’ on your phone, with each card containing around 200 words. Five of these stories were produced per day, with each running as long as they continue to receive interest. Six months in, they abandoned the idea due to how expensive the stories were to produce, and because another part of the website began picking up traction. Føljeton now has 5,500 paying subscribers, each paying the equivalent of $7.55 per month. While not yet profitable, the team state that they need 8,500 subscribers to break even, which likely isn’t too far off with their current growth. Peter Cooper is a familiar name with developers around the world. His library of newsletters on all things programming reach a third of a million people each week. Despite the lists likely having some overlap between subscribers, Peter claims to be sending emails to over 300,000 developers each week. I only recently became acquainted with David Sherry, the founder of Death to the Stock Photo. He reached out to me after the article I wrote on Google cutting my audience in half. I won’t reveal the subscriber numbers he shared with me, but others have been fine to report Death to the Stock Photo gained 200,000 subscribers in its first 18 months. For four years David and his team have been sending out free stock photos every month to subscribers. With 70% of his 200,000 monthly visitors coming to the site directly, people are clearly enjoying the newsletter updates and clicking through to the site when they receive an email. If you don’t know about Unsplash, I’ll quickly get you up to speed: It’s an “attribution-free” stock photo side-project so successful that it now reaches millions of people per month and saved the main company of its creators. Now I Know is the newsletter-equivalent of sub-Reddit /r/TodayILearned. Their daily email promises to teach you interesting things, like how carrots used to be purple, or how Abraham Lincoln invented the Secret Service. For such a simple idea, it’s impressive to see a homepage testimonial from Wikipedia founder Jimmy Wales. The site averages around 300,000 visitors per month with a surprising majority of traffic coming from search engines. I say surprising because the main pages they have indexed in Google all just redirect you to other sites. 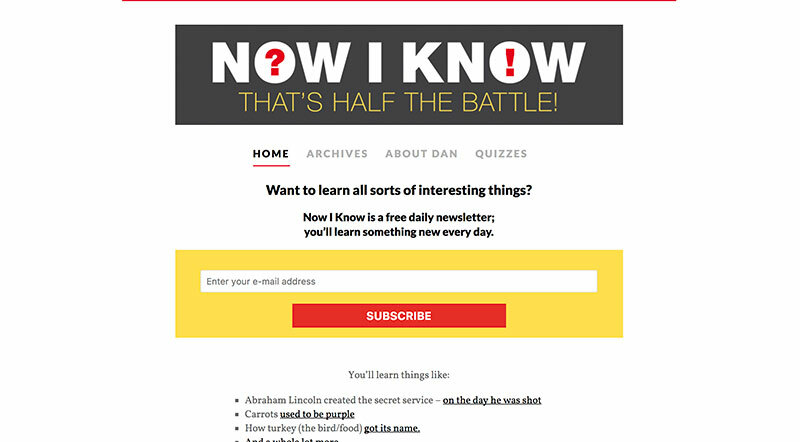 Founded by Dan Lewis, the project is monetised by a number of best-selling books with the ‘Now I Know’ title and a Patreon campaign generating $1,100 per month. I’ve never been a follower of The Hustle but I get the appeal. Their daily newsletter focuses on tech and business news, with the latest instalment talking about the website Snopes.com and their current legal woes with their ad partner. For me it seemed like The Hustle appeared out of nowhere a few years ago, and while new it made me feel like I’d been reading it forever. Though there is more to their website than a newsletter, their infrequent blog updates combined by the fact that they’re hidden away shows their main focus is on growing their newsletter. The Skimm was launched in 2012 by two former producers for NBC News. Their tagline, “We read. You Skimm.” perfectly describes their offering. The news, bitesized, and with a twist. Founders Danielle Weisberg and Carly Zakin both had professional experience in the news world so the idea for the site came fairly naturally to them. News is not only our career, it’s our passion. Because of this, we have always been the go-to source for friends seeking the scoop on current events or breaking news. We soon realized three things: Reading the news is time consuming; Wanting to read the news is a hobby; lastly, not everyone has the time or interest. theSkimm solves all that and makes it easier to be smarter. What started out as something to help keep friends in the loop has turned into a media powerhouse. The Skimm now has 3.5 million active subscribers, 1 million social followers and boasts an open rate of 40%. Although they’re fairly adamant in interviews that they don’t want to be seen as a “newsletter company” and instead as a real business, the newsletter here really is their business. Founders Tewfik Cassis, Alex Schuster, and Fred Spring knew they were on to something when Spring was sitting on a train one day and heard someone repeat a joke from that day’s email. We love what theSkimm is doing, and we think they’re doing a good job, but we wanted to delve deeper into global topics. theSkimm clone or not, the Daiily Pnut has attracted a large (and growing) audience interested in their unique take on the news. While Further is only reaching 15,000 people per month, that’s 15,000 people going straight to an email opt-in form. Even though I’ve had recent issues with email deliverability, I would still rather have an earned email subscriber than any other form of ‘follower’. 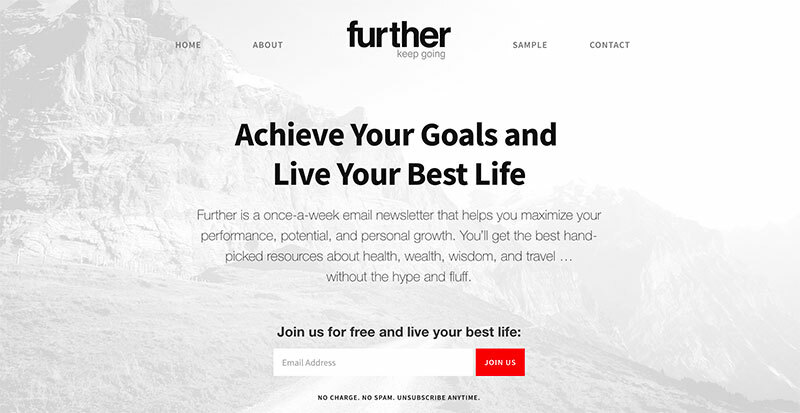 Founded by Brian Clark of Copyblogger fame, Further promises to send you something new each week that can help improve your current life situation. Though the overall aim for the newsletter is clear, the individual updates do appear to be on fairly random topics. Brian considers himself to be the ‘curator’ of the website, regularly linking to the best content he can find. While their monetisation end-game isn’t clear, their latest update features an Amazon affiliate link. Brian also has a number of online properties that he may want to steer subscribers to in the future. As I said six years ago, I think we’re going to see a lot of successful newsletter startups. As I said in the introduction, today I wouldn’t mention an amount and instead just talk about making money. After all, if you don’t believe you can make six-figures from a venture you might not even try to make five. The aim here is to help you find a way to truly serve an audience, and make money in return. Some monetisation angles become obvious depending on what you’re giving free information about. Logodust provides a free version of what Fairpixels charge for as a service. Scott saves his best flight deals for premium subscribers. Cooper Press sells sponsorships to those who want to get in front of developers. Examine target both consumers and businesses to explain medical updates in layman-terms. The Hustle funnel all of their subscribers into a conference which generates them more than $1m per year. If you find something people will pay for, then focus on growing your list as big as you can. If that’s you, skip to the end of this article where I’ll try to entice you with my email list. If there’s nothing you could obviously monetise your newsletter with, then consider what I think is a huge growing industry: Market research. Learning everything you can about a specific aspect of a specific industry and sharing your new found knowledge via premium guides. Market research sounds pretty boring on the surface, I agree, but to give you an idea of how lucrative research reports can be, this Reddit discussion might be eye-opening for you. A Redditor named Ongem was complaining about the high price for market research in his niche. What he probably didn’t expect was to hear how cheap people thought the research was at “only” $1,000. The company in question – Euromonitor – posted revenues of $144m for 2016. The truth is that the right research is worth a lot of money to the right people. Skift are a research company you’ve probably only heard of if you’re in the travel business. Their research department put out dozens of premium reports each year on the trends in the space. Their cheapest pricing option starts at $1,795 per year, which gives you access to up to 20 yearly reports. Skift will cross the eight-figure revenue mark next year through a combination of branded content, conferences and subscriptions to its $1,795 per year research service, Ali said. These premium reports are big business. A newsletter about creativity in the restaurant business, to be specific. If this doesn’t signify how valuable newsletters can be, it should signify that Skift are looking to get into premium reports for other industries. Chefs and Tech was started as a weekly newsletter but Skift co-founder, Jason Clampet, is tasked with turning it into a daily operation. If you’re looking for inspiration when it comes to any topic online, Trend Hunter is a great way to kickstart your creativity. It’s common to check the site out for ‘a few minutes’ and later discover you’ve been clicking through links for hours. While the privately-owned company is secretive about their revenue, Owler estimates it to be in the $10m per year range which aligns with the CEO’s comments on rejecting multiple eight-figure offers for the business. Trend Reports could be considered as the ‘premium arm’ of Trend Hunter as it’s home to their private content. We’ll be coming back to Trend Hunter later, but for now let me say I’m a big fan of the site. In a profiling on Forbes, Examine.com founder Sol Orwell says the company generates seven-figures in annual revenue. These reports promise to keep you up to date on all that’s happening in the world of health. For $29.99 per month you can receive six studies every month on the latest in medical research. For a site that’s reaching up to six million visitors per month (SimilarWeb data), it’s one of the smartest ways I’ve seen to make money in the health niche. 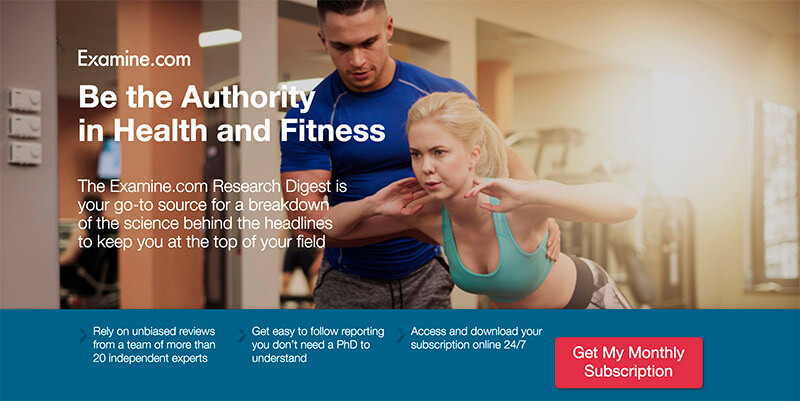 According to Digiday, Business Insider’s research arm consists of 40 staff and 7,500 subscribers. Subscriptions currently cost $2,500 per year, but will soon rise to $3,000. Some simple maths tells us Business Insider Intelligence is currently generating over $18.7m per year. Research is a popular add-on for publishers. Global media intelligence and research will be a $3.2 billion market this year, according to research released on Wednesday by Burton-Taylor. I’ve long praised Business Insider for writing the type of articles people want to read, but now I’m just as impressed by how they’ve monetised their massive reach. As I was procrastinating on this article and browsing Techmeme, I started reading about Google’s latest earnings report. What was quite the coincidence to see was a sponsored ad on Nasdaq, promoting a service called Zacks. Zacks offer a lot of different services – but a key part of their website is their premium research guides. When they’re reaching up to 4 million visitors per month, they’ve clearly figured out what their audience are interested in. Whether it’s books, magazines or websites, the things you find yourself reading about in your spare time are often a good indicator of what you should build a website around. It’s tempting to want to focus on wherever the most money is to be made, but I can count on one hand how many people I’ve seen make a lot of money in industries they have no interest in. RedditList can be a great source of inspiration. A newsletter mentioned before, Now I Know, seems to have had its popularity rise in sync with the /r/TodayILearned sub-Reddit. RedditList allows you to see the 5,000 fastest growing sub-Reddits so you can see what hot topics are as they become more popular. Don’t rush into a decision on the niche you’re going to serve, but don’t take weeks about it either. The great thing about newsletter-focused websites is that you can change the angle and focus very easily if you find people just aren’t subscribing to what you want to offer. Getting too much into niche ideas is beyond the scope of this article, but a simple rule of thumb is to try whatever angle interests you the most, and just see what happens. The most important thing is that you do something. You can update your newsletter as often as you like but once-per-week emails seem to be the most common. Weekly is often enough that you can provide regular value but it’s not too often that you risk having your ‘Unsubscribe’ link clicked for sending too many messages. About 18 months ago I ran a private newsletter on ViperChill where I shared expired domains which had backlinks pointing to them. As link building is a big interest to most ViperChill readers, those who found the list typically subscribed, and I had a great open rate on the few emails I sent out. As I offer SEO services and talk about SEO, it was really the perfect fit for my niche and something that made sense to share weekly. The only reason I don’t do the updates today is because many people asked if I could spam-check the domains before I share them (which I agree I should). I just didn’t have the availability at the time, but I would love to start it up again one day. If you have an existing brand, don’t make a big deal out of the launch of a new email list. Instead, gently ‘place’ it on your website and see if loyal visitors discover your new navigation bar link and enquire about what’s inside your offer. There are plenty of squeeze page designs to be found on places like ThemeForest or you can use tools like Instapage or Leadpages if you can’t build them in HTML. If you need something now and you’re happy with simple, I shared this four years ago that you might find useful. What you give away in your free updates depends on the monetisation angle you’re considering. Some angles already have premium offerings that fit. For instance, with my free expired domains newsletter I could also have a marketplace which sells the best ones I find. The premium research and report ideas I mention are just options if nothing else ‘fits’ in regards to how you’ll monetise your audience. If you’re going to create premium reports, then you need something to report on. I’m not suggesting you try to become (or expecting you to become) some academic research pro overnight, and nor is it a requirement. You need to think about some aspect of your niche that you could analyse in a lot of detail and then report back your findings in a more digestible way. Examine.com take all the new research in the health space, read it, and then report it back to subscribers who don’t have to spend painstaking hours looking over reviews as they did. Another good source of inspiration on Reddit is r/dataisbeautiful. You can find people who have collected data about any topic and made it easier to consume. It’s hard for me to give examples without knowing the angle you’re thinking of so please forgive me for being a little random here. Let’s propose that you run a consulting and marketing firm for colleges and universities. The type of data they might find interesting is knowing the demographics of people who are joining universities. 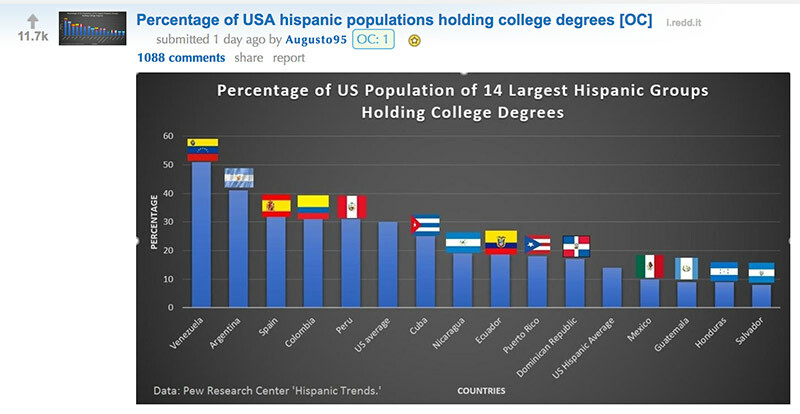 A recent /r/DataIsBeautiful post covered exactly that and received more than 11,000 upvotes. I’m not saying “Go and take this angle and sell this content” but showing how big amounts of data can be broken down into something really valuable for someone. Whatever you decide you can create a report about – I’ll share a specific example in a moment so don’t worry if you’re confused – don’t create the entire thing. Without knowing if people would actually be interested in it, there’s no point in putting in weeks or months of research for something that people don’t care about. Instead, offer a simplified version of what you plan to create and see if people are interested in that. Even if you just offer it for free. This slows down the process a little, but also makes sure you don’t potentially waste a lot of time. Recently I started sending out samples of a big project I’ve been working on for four or five months. Normally I would suggest testing if you can sell something before you create the final version, but it made sense for me to complete the work even if it wasn’t for others. It’s something I needed for myself. That said, I’ve still reached out to people in recent weeks to see if they would be interested in learning more about it. I’ve had some great replies after sending personalised outreach emails. Even before you have to create the sample you can get an idea if people would be interested in seeing some variation of it for free. Last year I got to visit Kuala Lumpur for the first time. When I wrote about locally-focused news blogs making a lot of money, I had the idea to create a locally focused newsletter. As I had recently visited the city, I decided to pick Kuala Lumpur for my experiment. I set-up a page on Facebook and purchased just over a thousand targeted likes. Since advertising in Malaysia is fairly cheap, these 1,000 likes cost around $100 even without any split-testing. Once I saw I could pick up new Likes cheaply, I decided to release the most minimally viable version of my squeeze page (newsletter) as I could. I set up a site which was little more than a headline and some made-up testimonials. The testimonials were just a placeholder to see if people would be interested in the concept. I wouldn’t keep any emails received and actually didn’t receive any. Unfortunately it turned out that people weren’t as interested in my up-to-date city news as I thought they would be. Literally hundreds of Malaysian’s went to the site and not a single one opted-in. I wasn’t bummed out by this. You should expect to fail more times than you succeed. If you’re fortunate that something you create does start to connect with people, don’t do anything else. Stop looking for some magic niche. Just go at it and make it your main focus. Try to get everyone in your space to know about the newsletter. I couldn’t end this Gaps update without giving an example for a niche I would build a newsletter around, and the type of premium report I might put together. If you’re adventurous and up for a challenge, one site I would definitely follow is the journey of someone trying to cross items off their bucket list. A website I use now and then for niche-inspiration is Bucketlist.org. Reaching up to 150,000 visitors per month, Bucketlist shows the most important things people want to do before they die. You can sort them by most popular, which shows that more people want to swim with dolphins than anything else. After discovering the whole world of travel bloggers and vloggers during my Patreon research, I’ve become more interested in the topic. I would love to see someone follow the challenges on the site and share their journey in a weekly newsletter, crossing off items from the site. It could easily be monetised by having different companies sponsor the next item someone crosses off their list. Of course, this is just a personal example. Feel free to let your imagination go wild. If the example above would have been successful, I likely wouldn’t have monetised it via research reports. 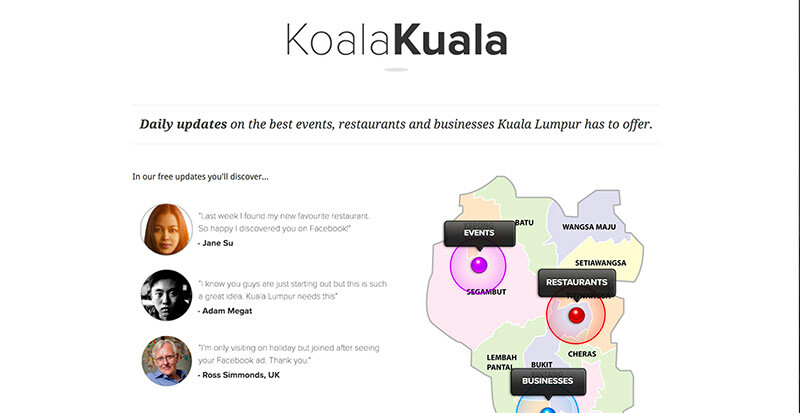 Although I could put together reports on consumer interests in Koala Lumpur for business owners in the area, I would rather see if I could get them to advertise in my updates. I’m not trying to tell you that you need to create a research report: We’ve established they only lend themselves to certain angles. Since TrendHunter covers such a broad range of topics and they’re already proven to make money, it makes sense to look into them more for my research. Here’s a question for you: If you were to only focus on researching a single topic area from TrendHunter, do you think you could do a better job than them? To see what’s popular on the site I decided to look at their most popular Pro trends databases and look at how many clicks each received on their website. One that stood out to me – even though it received 10x fewer clicks than a report two rows below – was a list of insights on ‘Instagrammable installation’. It has received over 61,000 clicks and covers different ways that you can motivate active-Instagramers to take photos of your business. The reason this caught my eye is because I recently read an article about a restaurant designer always considering Instagram when designing new spaces. I could totally see myself doing more research into how hotels, restaurants and other public places could incorporate design features to get more customers talking about them on Instagram. I could delve into the most ‘Instagrammed’ hotels by country. The most popular swimming pools. The most popular restaurants in any location and so on. My report could consist of the most popular design features that people love to take photos with around the world that you may want to incorporate into your own establishment. It’s clearly a hot topic, and I think I could sell that report fairly easily. It’s been a while since I wrote anything here at Gaps so I hope you enjoyed this update. Thank you, as always, for following! If you want to see what I do next at Gaps, make sure you follow me on Twitter or Facebook, or via our newsletter. Clicking the heart button below lets us know what types of success stories and opportunities you would like to see more of. Thank you so much for reading! Careful with those Business Insider figures – their reports include companies where they may have 50 ‘licenses’ but they pay a hugely reduced fee for them. That’s a good point Mark. I know they’re doing well but likely have a lot of licenses that aren’t paid for at the full price (or individually). awesome Glen! !The travel deal website by scot can blossom if localised. Eg. South africa to Atlanta rountrip $350 just an example. but where to look for them is more of a challenge. Good work …… I also love detailed too. I remember the first time I mentioned him I talked about how he was only targeted flights from the US, leaving a huge opportunity for others to use the same model around the world. Now this is the $hit i am talking about… Where were you with this update mayne?? You starving a me around here…. Good to see you here, Omar. Really Awesome insights Glen. I’ve got some 2500+ email subscribers from my education niche blog in India. But haven’t tried to monetize them, thought Indian audience would be difficult to convert to sales. May be i need to research on it, do testing. I know that many people said “Email is dead” and it hasn’t died at all… but, isn’t email going to die off… one day? I mean, with Messenger going up and all the instant messaging, are people around 15-20 years old using email still? Will these young people convert to email or will the whole landscape change? 5-10 years? I would be surprised. We can’t really predict what’s going to happen with technology these days so it’s possible, but it’s possible Facebook ads or Google Adwords could disappear one day too. Maybe there would be any tool in future by which we can merge our emails to Messenger and at the same time, we can send to both channel. It would be profitable o build an email list as well as messenger subscribers. Well, you can say both. I am a daily reader of GAPS as well as I loved your content on various blogs. “4 Ways to Find Guest Blogging Opportunities” post of your’s I liked the most. I have seen some service provider using whatsapp as a subscription. This one is in forex market especially (there may be in other market too) the one I know. The idea here is simple. You subscribe their choosen monthly plan and you will get the forex signal (buy or sell) straight to your whatsapp. I think its starting to happening and we might not have realised it. Have a look on the google. Great article! I am new around here, and I find your blog absolutely fascinating. I am confused with regards to the research report monetization angle. Are you suggesting that the newsletter be a source of the data for such data reports? Or is the newsletter more of a trojan horse, leading them to a subscription for data reports related to the respective topic? I guess what I’m asking is the newsletter going to be the source of the data? or the way in which your readers will be aware of the data reports you provide? Can I send something to the Hong Kong address? I’d rather comment privately if that’s ok? The newsletter is the best way to attract the visitor come back the website. Great article, I discovered new idea on this post. Thanks, Glen. After being a vicious reader of deatailed.com and gaps, i have always wanted to ask you this: ” are you even human? Are you even from the Earth? :)”. You dont even have a rival. Undeserved, but thanks for the very kind words, Deyan! Newsletter is really the way to go. Google biggest product (textual search) will die very soon. Website built around seo the main source of traffic will suffer a great deal. How does research help? An awesome lot, this post proves that. Thanks Glen. Where do you go to see the Pro trends databases and number of clicks? There’s no page for that. I crawled their website using an SEO tool named ScreamingFrog. BTW cannot find the right tab and column where you’ve found the “total clicks” data. It’s a little more complicated. You have to use the ‘extract’ option. Very insightful. It’s true that selling research in a particular niche by providing more detailed reports is absolutely possible. And lots of money to be made there. I came across this company called Tracxn which researches startups around the world and produces reports for VCs and investors. I really love reading the blog posts both here as well as detailed.com. I even read them multiple times. Thanks for the kind words, Arun. great site. I have some questions that i hope you can answer. 1, How do you set up and charge “premium subscribers” in your list? 2, And do you or any of these newsletters have problems with “grey listing?” Do all the emails get through? How do they get around that problem? 1. There are lots of ways you could do this. For one, only send people to an opt-in form after they’ve paid you. Another option is to manually move people to new email lists (from the free to the paid) after they’ve purchased. 2. People will likely whiteliist you so you *shouldn’t* really really have issues with deliverability. That said, I know of a few newsletters that have an on-site backup of everything they send as well, just in case people miss the mail. Thanks for the awesome article as usual! Please i want to ask hiw i can use this newsletter model with Facebook messenger specifically chatfuel to send updates via Facebook instead of emails. .. Do you think it will work? What about “email subscribers newsletter template” transferred to social media followers? What is the difference between running email blog with occasional offers and running facebook/instagram blog with occasional offers? Having an email subscriber is so much more valuable than a follower on social media. After all, even if an email is ignored, it still has to be ‘dealt with’ in some way. You don’t just scroll past it like you would on a social feed. I can never get my head around how people find out about a newsletter and then subscribe to it with just a single page / small landing page. Most of the ones I find or am subscribed to are because I’ve found them on a large blog or seo….Or a huge inflencer has mentioned it. I’m not sure how you’d grow from zero. Paid ads I guess? I believe word of mouth was a huge marketing angle for Scott when he started out. That’s what he said in his Reddit AMA, before starting to get a lot of traffic from Reddit. It’s such a cool free resource that people naturally want to share it. I’m in the travel space (blogger, ex-airline) and you’ve given me food for thought. I just wrote a book about 89 things to do as an airline employee before you quit and many are bucket list items. So need to figure out how to properly monetize them. Will look into the travel items you mentioned. Nice one. Let me know how it goes! Good post – as usual! Timely post Glen. On your advice I set up a one page newsletter http://waterderegulation.com few years ahead designed around the largest water deregulation in the world (England business water) in 2017. In 2020 there will be a review of the England water market and traffic to my newsletter site will experience a massive rise. currently not ranking well in Google but ranking top slot on Bing which is enough to get me good traffic as it stands. I get very large UK companies subscribing to my emails which are potentially excellent customers for my commercial water and energy services. I do like your idea about providing trends reports. currently I provide detail trends report for commercial energy and water buyers – I should definitely start charging for these ! Finally I’ve switched to podcasts for my free mails and will start charging for ‘premium’ emails with links to private written reports. Thanks Glen for promoting me to take action. Thanks for the detailed comment. Sounds like you’ve been really proactive so I hope it pays off for you! Agora Financial literally make millions (if not billions now) publishing paid financial advice newsletters and have been doing it for years. Before i found your website then i’m able to add the newsletter on my website. Your posts are always well detailed and thought provoking. Thanks for taking the time to do this to help out the little guys. I started a beauty blog for women of color and am trying to figure out useful newsletter ideas that could be monetized. Great post, Glen! I read it all and that’s not something I can say often. As a writer and virtual assistant handling my own as well as newsletters for others, this is super valuable information. Thanks for taking the time to put together this post…6 years, wow. Keep up the great work! As soon as I get your newsletter, I read it thoroughly and It always an eye-opener for me. Great stuff! I read viper chill blog too. Recently I have started a newsletter about growth hacking. It would be a great help if you look at landing page and share your thoughts. Would you like to have a look at it? I am a huge fan of your content. I will give this a try in one or two weeks. I even have an idea for a weekly newsletter. Thanks for the idea, Glen. If you were to start a new Email Newsletter site like the one you described, how would you go about getting subscribers? I mean, on a one-page site, there is not much content you can drive SEO or referral traffic to. Love it! Glenn – you continue to provide ideas and inspiration with each blog post. Been following you for a number of years. Several times I have almost jumped on your “If I wasn’t doing other stuff, I would do this…” ideas. Today I jumped. Registered WeeklyBucketlist.com and am going to start developing the audience. This is kind of my niche – because we produce 5 other newsletters on a weekly basis for clients, so we have a good process and publishing model. Will circle back with details soon, so hopefully we can share a good “Glen suggested it; we did it and here are the results” post. Best of luck with it, Tobin! Awesome ideas to incorporate on my blog as I continue growing it and trying my best to funnel more people into different email lists – each targeting specific topics. Read it. Saving for future reference. PS: I heard an interview Sol did with Yaro Starak a few weeks ago. He’s achieved a lot in the online space. I Think,I am going to add a new page in my website ’email blog’. This is really interesting Glen. I think we need to make use of this tips. I knew i will get the best from here that is the reason why I saved the page since morning. You’ve missed Revue (a software product) from NL, url: getrevue.co. Their business is newsletter as a service. I’m not affiliated in any way, but they seem to be on to something. I’ve heard of Revue before but think they’re just a platform provider and not really running a newsletter. Please let me know if I got that wrong though. Great stuff as always brother. Man, I recall that article all those years ago. So true about Scots flight website being localised , there is already one called Jacks flight club which is about flight deals from U.K., he has done well. That someone who reached out about Scott’s newsletter was me. Thanks for the mention. This is an amazing set of case studies. Wouldnt it be nice to have a course in this topic, with actionable steps for proven results. I would pay for that. The article was too lean on instructions for me to take action, but if that part were developed and proven… you could make some big bucks from this. I’m running another case study right now so that’s keeping me busy enough, but maybe in the future. Hopefully there are enough examples already shared though that you don’t really need it. This is one of the best articles I have come across. This has made me think again and start building subscribers for our business. Thanks again for sharing the wonderful content. Now you’ve done it! Spent the last three days thinking about your email blogging idea. I remember your post from 6 years ago and went back to reread it again. I remember thinking how cool is that and now, here I am again. I recently created another website with a purchased theme and set up woocommerce using Stripe with plugins and integrations, etc. Wrote 10 articles (whew what a lot of work), and now I am already bored with it. It’s a topic I used to do as a bricks and mortar business so I have the knowledge but not the desire. Looking at the examples you presented, I notice that many of them have an actual website where samples (previous newsletters) can be found along with other pages commonly found on a full-fledged website. Do you feel that is necessary or would keeping the content accessible strictly through email by subscription be a better option. Why would I want to subscribe if I can see the info without giving my name/email? Thanks for another fantastic article and look forward to each one as they come. When I first wrote about them they definitely only covered the US. You’re very welcome. Thanks for the comment! You’re into your health and fitness right? I’m generating 300/500 UK email subscribers per day for a client in the fitness space at £0.40/s. Really keen on building an ‘offers’ newsletter for those subscribers myself but am struggling to fully grasp what to promote that has a good ticket value. Hey Glen. First of all, your name is Glen or Glenn? Second, You have so many sources of inspiration that I’m surprised every time I read your articles! Every time I tell myself “He nailed it”! And one last question: How do you monetize this effort? I’m curious about it (and I believe many others as well). Thanks for the inspiration! You could use affiliate links like most sites here, promote your own products or make special deals with company in return for sharing their offers. I thought I was commenting on my most recent article. There’s an absolutely huge section on monetisation in the post. No, I meant how you monetize this blog or if you have plans to monetize it in the future. As I said I’m curious. Cheers! Wow, Glen, this is incredible. I went to a coffee shop yesterday just to go through this article without interruptions and I already found a niche where I could do this. This is outside of the SEO where I make money, but still, something that I’m incredibly passionate about and know the industry pretty well. I’m going to use your advice about launching asap and testing the idea first. I’m going to use 1-3 subreddits to promote this by offering a lot of value in my article and them mentioning a link at the end. I’ve done that successfully before on Reddit and gained thousands of subscribers to my old self-improvement blog. I loved the deal type newsletters. The value prop is to clear and simple to understand but then I quickly realized that it would be a pain in the a** to find those magical deals. THEN IT HIT ME LIKE A SLIPPERY FISH! Why not make your own deals? If the list is big enough you could easily buy stuff and then just offer it for less. The loss you would take on the “deal” would be easily made up by the recurring subscriptions. No hours of research and hoping to get lucky. Just build a list in a niche and buy what they want most (this would help with marketing also, you would be offering deals that can’t be found) then offer it to them for less. I’m not totally sure how that would work. How would you get the deal in the first place to make a profit when selling something? I used to run a small tech-related newsletter, which sent daily. I was even thinking about packing deals into my emails so that I could make a little commission when someone bought via my links. Unfortunately, the monetary outcome didn’t match my effort so I drop it (commission rate & value is extremely low in the country). I hope somebody would take this approach and make a case study out of it. Another great one is https://inside.com/ where they feature different newsletters they run by category, all covering interesting on-trend topics like Bitcoin, Development and other stuff. Inspired by this post, I build a new service/site based on a monthly newsletter. The primary version was a free e-mail with good value every month. Got a couple hundred sign ups. Main key: give away value. It works. I launched a premium version for 9 bucks / month two days ago, and already made a couple paid subscribers. It’s not a lot. But it’s enough for me to keep pushing it. And it’s enough proof of concept for. People are actually handing me money for a service I build with my two hands. Amazing feeling. Around $25 / month so far. But for every new member, this number will only increase. And, the workload is around 3-4 hours every month. So I look forward to keep pushing this service and also build new sites like it in the future. Thanks for a great inspiration. Thank you for sharing your results here. Hi Glen – the ways that this could be applied are virtually endless. People just need to take step off to the side of the hamster wheel for an hour to consider how they can apply this. Thanks for the great article I’ve bookmarked.. This has given me a lot of much needed inspiration in addition to the wealth of websites. This article offers more for free than any of those sales pitches that make you want take a shower after the first paragraph. Thanks again Glen, I look forward to reading your next update after subscribing. Sincerely, i have read this article more that five times now. Anytime i starve for good content i come to gaps or detailed. Kudos for you are doing a good job. I should also let you know that this inspired me to starting Wazi Mailer (wazimailer.com), an email marketing app this is currently a side project but hopefully it will grow into a successful business soon. Looking forward to another insightful piece. “Føljeton now has 5,500 paying subscribers, each paying the equivalent of $7.55 per month. Say what?! How in the hell is that even possible??? They were making over $40,000 a month. It’s obvious they were doing things wrong, and mismanaging the money. Amazing content! Thank you for sharing. A very insightful article on online content management and how budding companies can grow through the oft-neglected tool of newsletter publication. You have made a lot of sensible points and this will prove helpful in growing start-up business and gain their much needed traction.